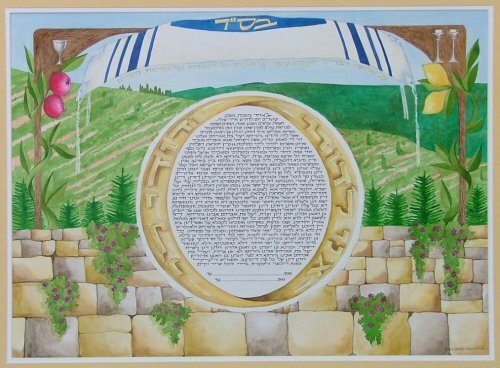 The ring is in the foreground with a representation of the Kotel, the Western Wall. 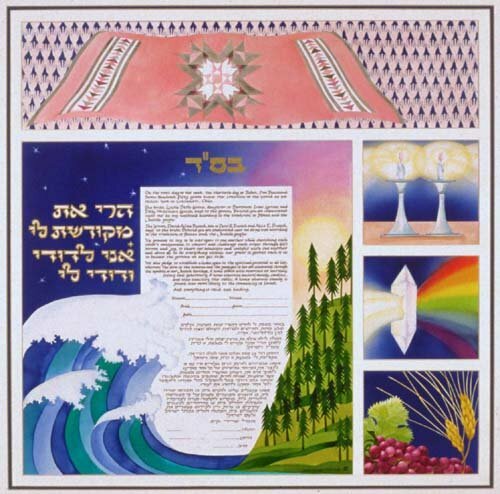 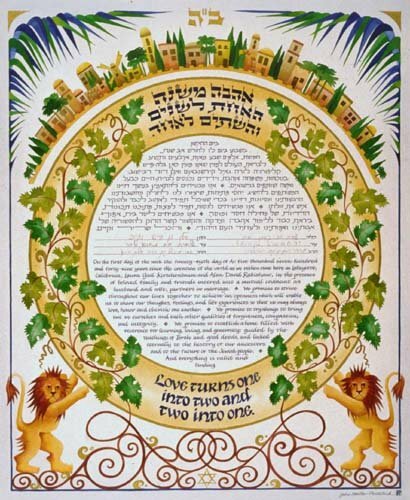 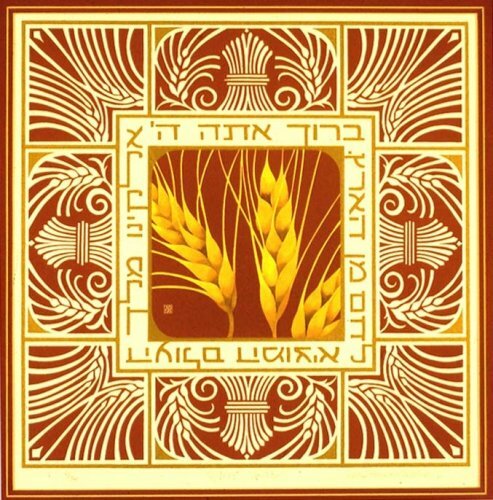 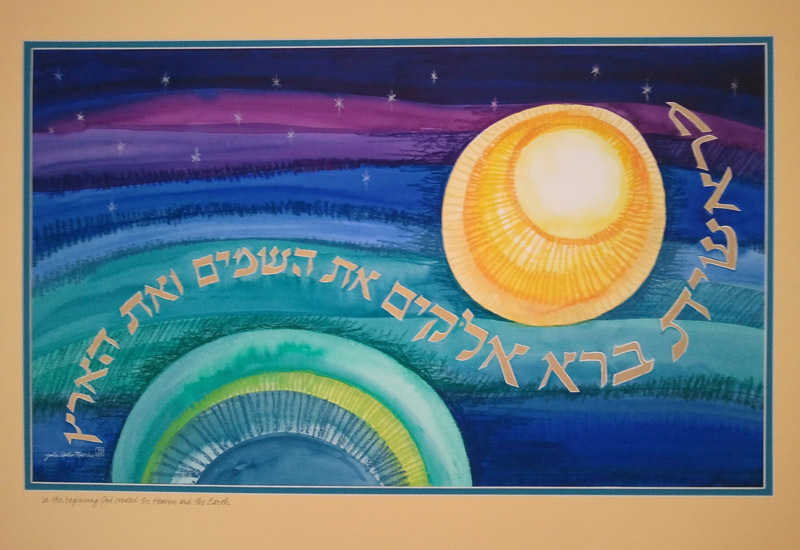 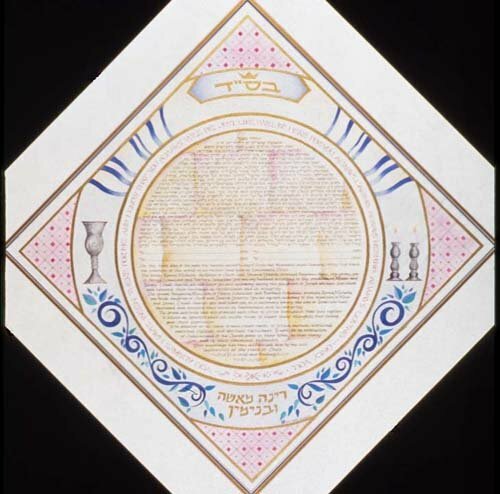 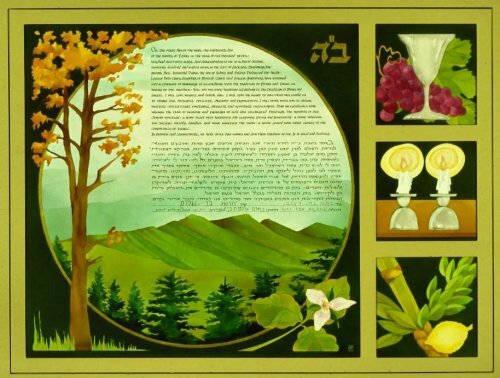 In the background is a view of the hillsides in Israel and the Tallit becomes part of the Chuppah above the text in the ring. 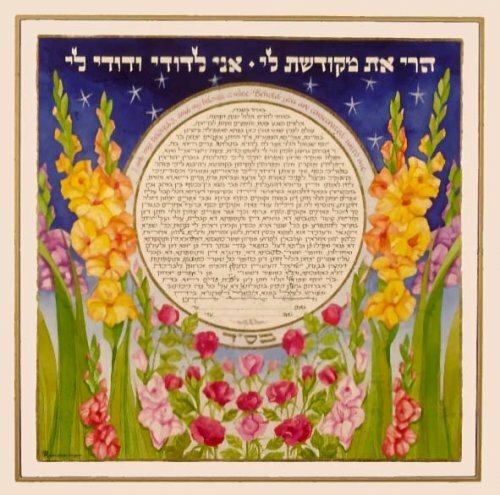 The couple’s family members are represented by the number of flowers in the growth on the Kote.